To make these cute little cake pops, here are the steps! 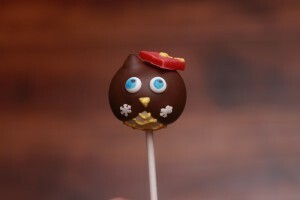 Bake your favorite cake recipe – If you are just making cake pops, one box of cake will make about 30 cake pops (all 1.25 inches in diameter – think ping pong ball size.) 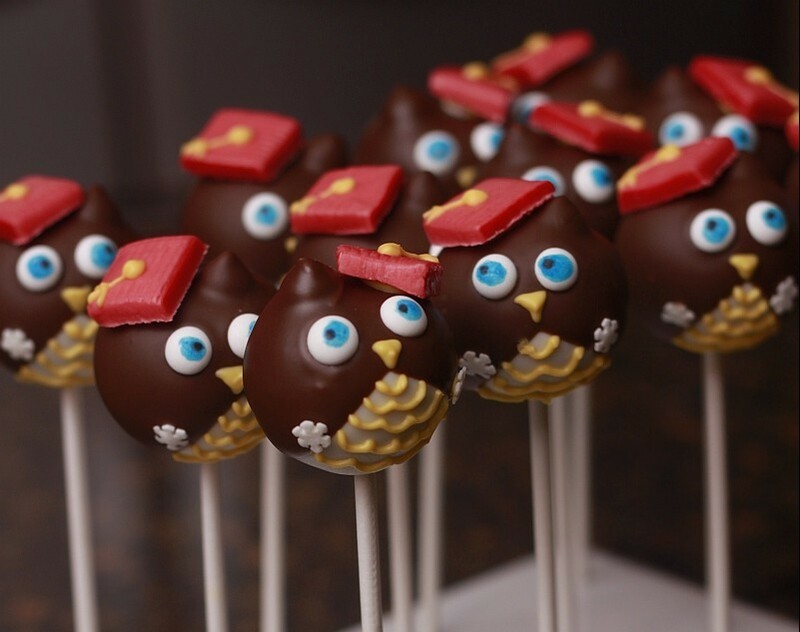 You can also take all the tops from a decorated cake, yesterday’s cupcakes, or even a store bought cake! Just crumble and knead it down until it is a pliable dough. (consistency of Play-Doh) You can do it by hand (you also will need a bit of frosting this way to bind it together), but it is faster if you just put your cake into the mixer or food processor and leave it in there till it turns to dough (if you are mixing the cake this way, you only need frosting if you want to add some extra sweetness for extra flavoring, it’s not necessary to hold it all together). Next take it out of the food processor, give it one quick knead to make sure it is all one piece of dough and then roll them into balls. We do this step with the help of our newest available “Mini” Easy Roller – it rolls 9 at a time! If you have 30 Seconds, this is worth a quick watch! Need to make more than that at once?! Try the Easy Roller it’s more than double the size! 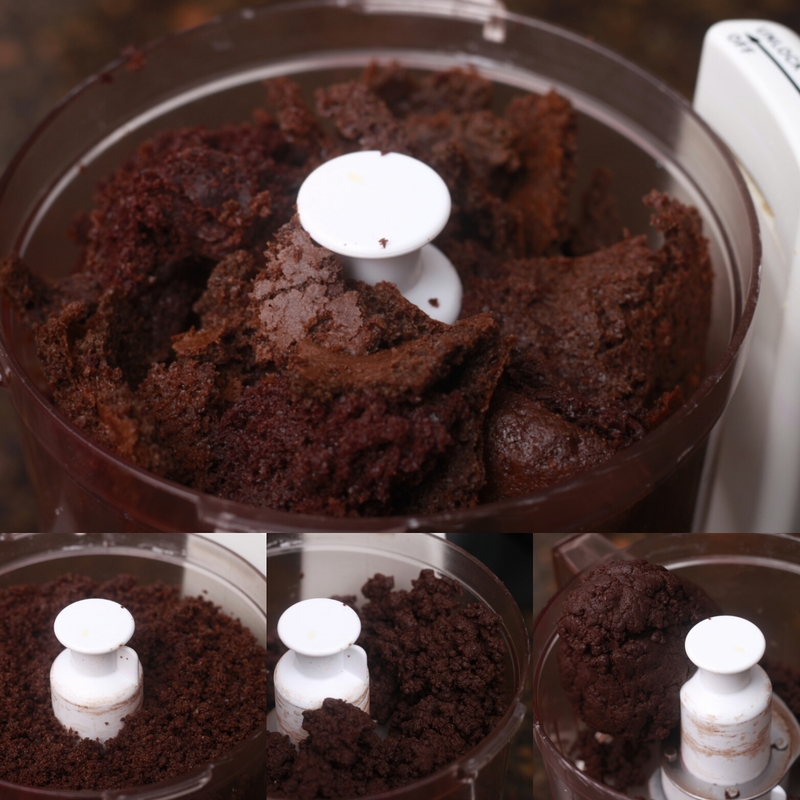 So it can roll an entire cake in no time at all, since it rolls 21 cake balls at one time & they are all the same size! 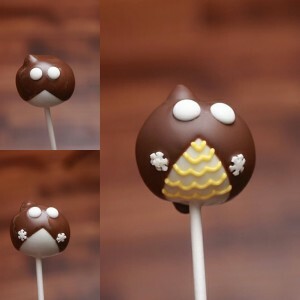 Once you have all your cake pop balls rolled, cover them and put them in the fridge while you get your decorations ready. The colder the cake pop balls the easier they are to dip! But if they are too cold, beware that they crack after they have set 🙁 So only keep them in there 15-20 minutes at the most. 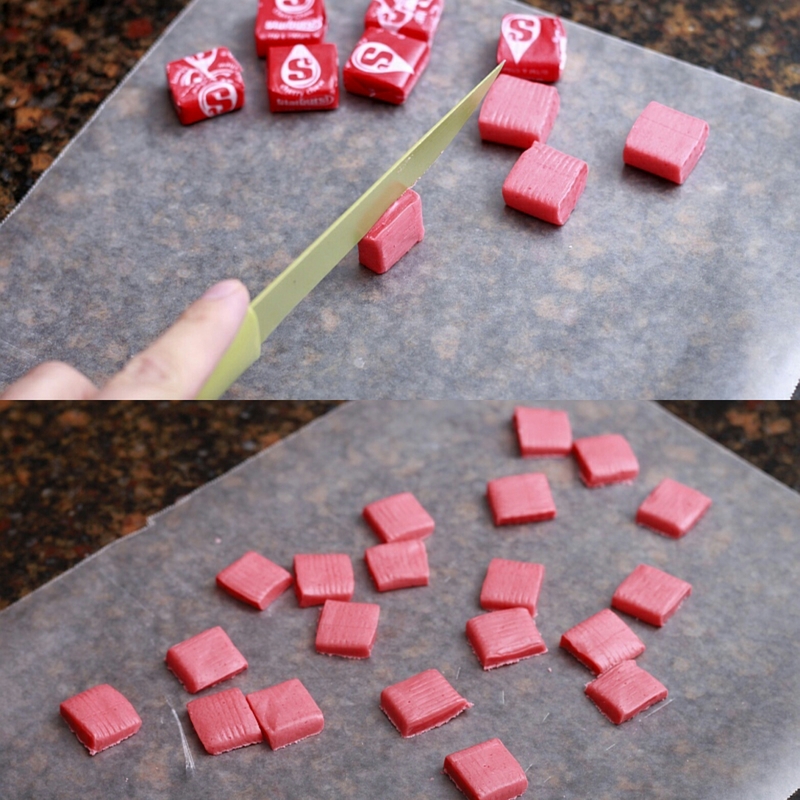 First step is to cut some Starburst candies in half. I went to Winco so I could pick out all the red ones from the bulk bins;)!! Now take your cake pop stick and dip it into the melts and then into the cake pop ball. Then submerge the whole pop into the white chocolate coating, and tap off the excess. Before the coating drys add a little chocolate chip to just one side. (Winco – if you have one is great for this too, as you can just get a handful of chocolate chips instead of the whole bag) Now wait for that set. You don’t want that chocolate chip falling off into the melts! Now get a second bowl for the milk chocolate candy melts (Or almond bark) and melt them down the same way. 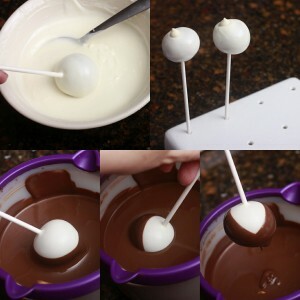 You are going to “double dip these just like the “Tuxedo Cake Pops” meaning dip it into the melts sideways halfway and then the otherside sideways, halfway. It should come out with a white chocolate “V” in the center. 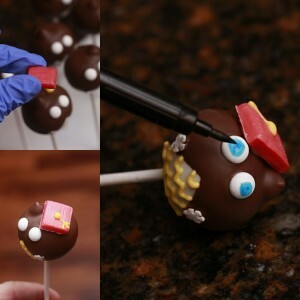 Now tap of the excess by either holding it upside-down or tapping it gently with the back of the cake pop toward the bowl of chocolate. All that is left is a little triangle nose!! Didn’t these turn out cute?!! 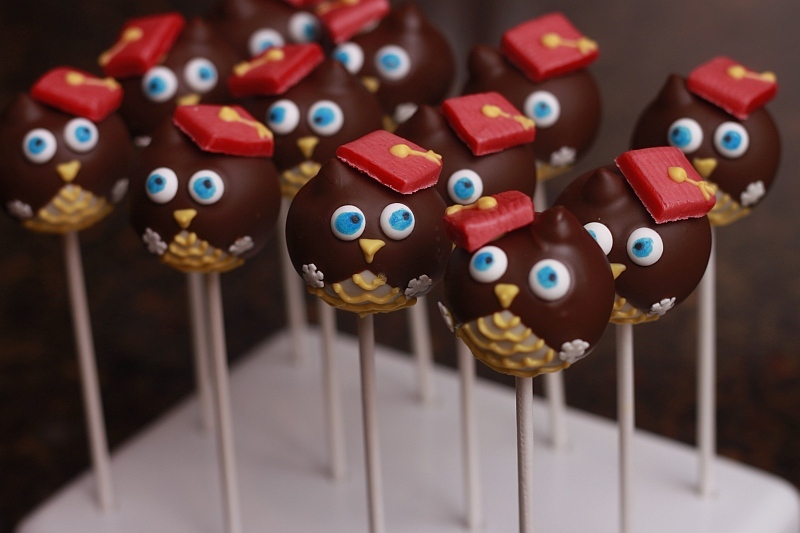 If you are looking for a simplified version for graduation, check these out!